The Painted Ladies looking bright against a foggy San Francisco sky. Don't be the visitor unprepared for San Francisco's fickle weather! Follow my packing guide to ensure a comfortable yet stylish look while visiting the city by the bay. So, you’re going to San Francisco! You can’t wait to see the Golden Gate Bridge, crooked Lombard Street and the barking Sea Lions at Fisherman’s Wharf. You pack a suitcase and start with flip flops, a bikini and your favorite summer dress. Who needs a jacket when you’re headed to California, right? The city of San Francisco is a 7x7 mile peninsula surrounded by water on three sides. With currents from the Pacific Ocean and the Bay, San Francisco doesn’t adhere to the sunny California weather you see on TV. It stays fairly mild, only exceeding 80 °F (27 °C) on average 21 days a year and rarely dropping below 50 °F (10 °C). I’ve lived in San Francisco for over 4 years, only a few blocks away from the popular Painted Ladies. I see tourists walking by every day that are completely unprepared for the weather, no matter what the time of year. In this post, I’ll share a packing list for women that will keep you feeling stylish, warm and comfortable on your visit to San Francisco. Here is my personal explanation of how San Francisco's weather changes throughout the year. San Francisco’s Indian Summer is my favorite time of the year with an average temperature of 70 °F (~21 °C). It’s like the Postal Service lyric “we can swim any day in November” from the song "Sleepin In" (it’s a great song, listen to it). If you visit during these months you can expect sunny days and sporadic heat waves, but always bring a jacket for when the sun goes down. Towards the end of November up until the beginning of March, you can expect crisper air and some rainfall. The rain usually falls the heaviest in December and January, but there hasn't been snow in San Francisco since 1976! The average low temperatures during these months are still above 45 °F (~7 °C) so there's no need to pack your parka. Spring time is an incredible time to visit San Francisco because the weather is beautiful but the city won't be as crowded in comparison to the Indian Summer months. During April and May, temperatures average above 60 °F (~16 °C) and even rose to over 80 °F (~27 °C) on a couple of April days in 2016. Coming to San Francisco in July? Expecting sun and beaches? Have you ever heard the famous quote by Mark Twain, "The coldest winter I ever spent was a summer in San Francisco"? In reality, the summer isn't cold compared to a snowy east coast winter (I grew up in Philadelphia), but temperatures average at lows in the mid-50s (~10 °C) and highs below 70 °F (~21 °C). If you drive North, South or East, you can expect temperatures at least 10 degrees higher. Here's a sample packing list of what to bring to San Francisco any time of year. See my outfit ideas below to check out my top picks for each of these pieces. + the basics i.e. undergarments, socks, toiletries, etc. San Francisco style is smart yet casual. No matter what time of year, always choose outfits that can be layered since the weather changes throughout the day. I recommend deciding what to wear by taking into consideration both the event/activity of the day and the weather forecast. 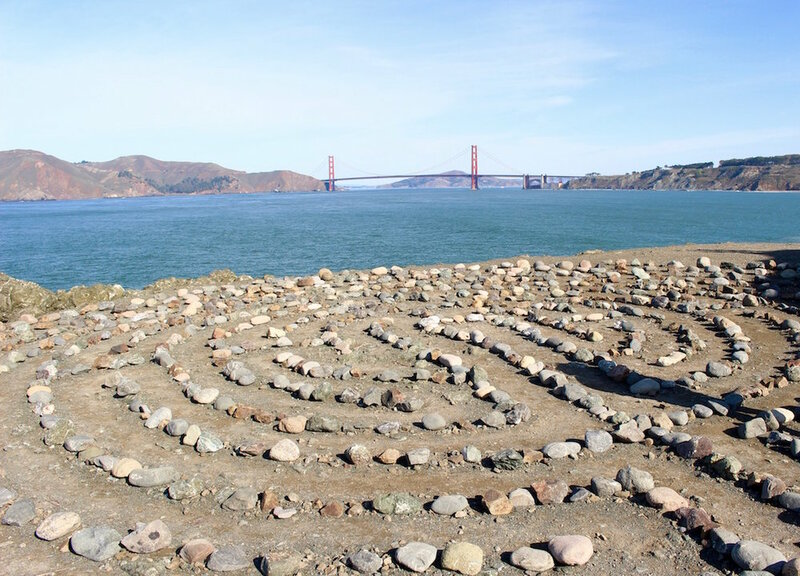 Here are some examples of activities and my top picks for enjoying San Francisco in style. Activity Idea: Head to the newly updated MOMA and walk around downtown with an umbrella. On rainy days, it's never a good idea to wear jeans because if they get wet, they take a lot longer to dry. Opt for a comfortable tee , a cute skirt and leggings with waterproof shoes . Throw your rain jacket on top and you're ready to look adorable while jumping in puddles. Activity Idea: Head to Dolores Park and have a picnic overlooking the skyline. If the sun is shining, slip on a light dress and bring a jean jacket for when the breeze hits. In addition to sunscreen, I always wear a wide-brim sun hat to protect my skin, as well as classic sunglasses. You'll be walking and San Francisco hills are no joke, so embrace the current trend of mixing sporty and feminine pieces and wear comfortable sneakers. 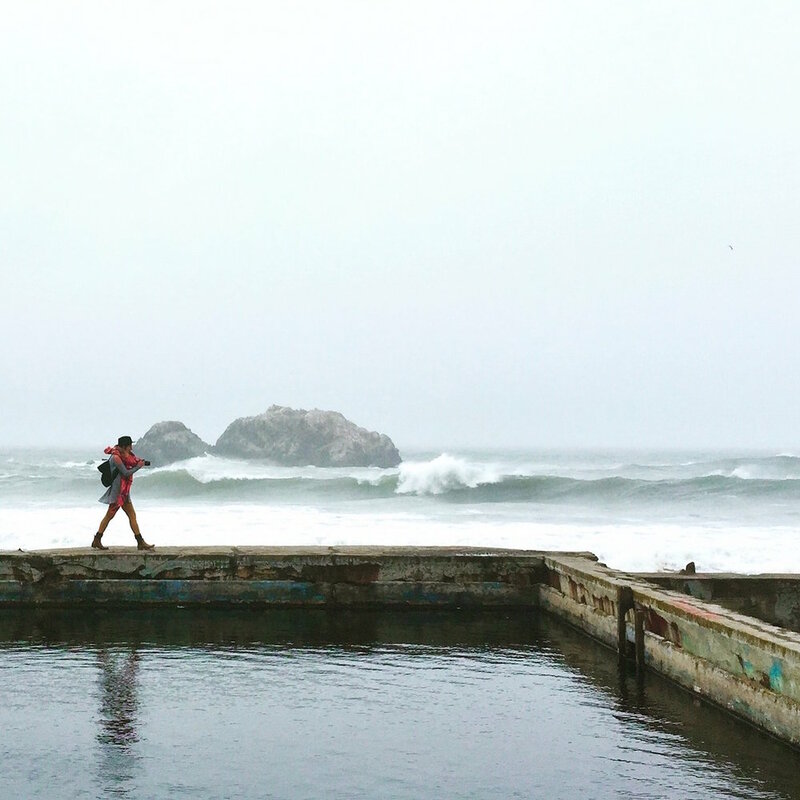 Activity Idea: Start your day with a leisurely hike at Land's End and the Sutro Baths. Then go shopping on Union Street. On a crisp San Francisco day, the skies are often blue and there's no rain in sight. You'll want to dress warm, but it's the perfect day to see the Golden Gate Bridge without the fog hovering over it. Wear a pair of comfortable jeans, layer a tank top and thermal and wrap a scarf around your neck. Wear booties or sneakers and a backpack to put your layers in while you're in the sun. Oh, and don't forget a jacket. Never venture out without one in San Francisco! Activity Idea: Make a reservation at my favorite restaurant, NOPA. They make the best Ramos Gin Fizz you've ever had. Then, stop by Toronado and try one of over 40 beers on tap. While there are a few "clubs" in San Francisco, night life for locals like me usually starts with a delicious meal and a hipster dive bar. Wear an edgy top with black jeans, a moto-jacket and over-the-knee boots. If you're feeling bold, add a choker and you're ready to hit the town. Have you ever been to San Francisco? What are your must-pack items for any trip? If you need packing advice or help planning your San Francisco itinerary, don't hesitate to reach out at am@twobluepassports.com!